Half of University Technical Colleges (UTCs) that have been open for two or more years are yet to be graded by Ofsted, exclusive FE Week analysis has revealed. Checks on the education watchdog’s website showed that of 28 UTCs that have been open for this minimum period, 14 have not yet been inspected and graded. University Technical College Lancashire has waited longest since it opened in September 2013 — but it is due to close in August due to difficulties in enrolling enough students “to secure future financial viability”. 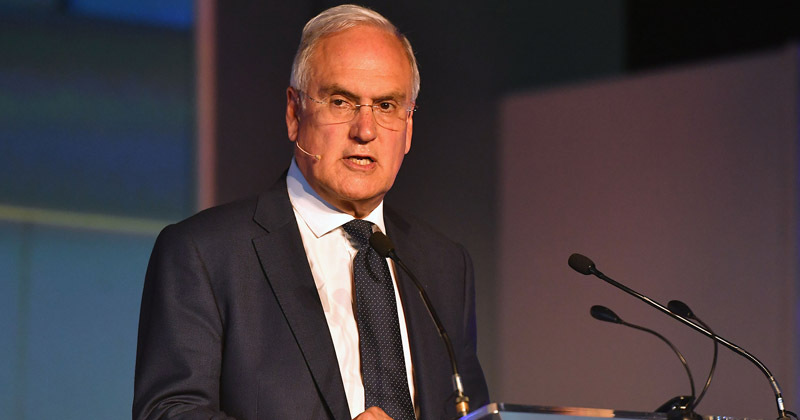 The revelation comes ahead of a speech set to be delivered by chief inspector Sir Michael Wilshaw about the controversial 14 to 19 vocational institutions, at the Baker Dearing Conference in London tomorrow. Commenting on FE Week’s analysis, an Ofsted spokesperson said: “UTCs, like other schools, are inspected in line with statutory requirements and Ofsted’s overall policy on school inspections. Ofsted brought in a new policy last October dictating that schools which opened after September 2014 would not be inspected until their third year. However, the chief inspector retains the power to inspect earlier if there are concerns about the school, or when requested by the secretary of state. Ofsted previously visited new schools in their second year, normally from the fifth term onwards. 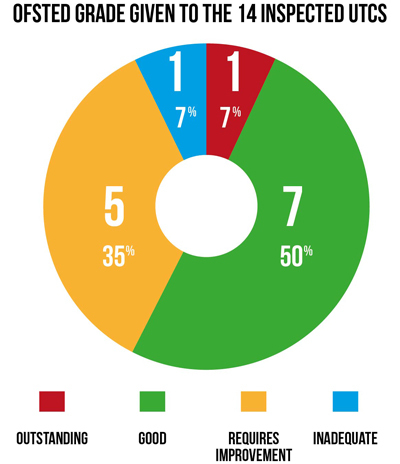 Of the UTCs that have been inspected, the majority appear to be performing well according to their grades. Although just one of the 14 has been rated outstanding, seven (50 per cent) were considered good, five (35 per cent) got requires improvement results, and one was branded inadequate. 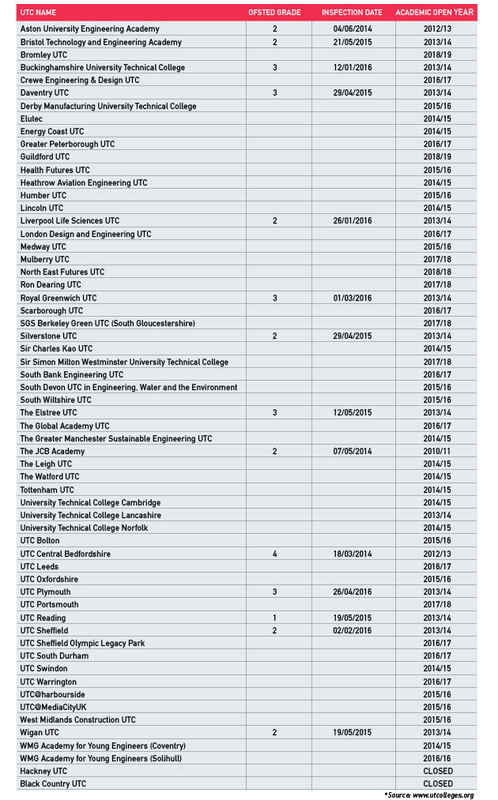 In addition to the 28 UTCs mentioned above, 11 others have been open for a year or less. 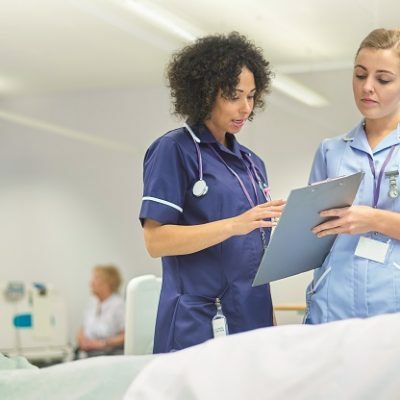 There is expected to be 56 in existence by 2018 — according to the Baker Dearing Educational Trust, which develops and promotes the concept of UTCs. Sir Michael’s speech tomorrow will come just a month after he called for the government to insist that every major multi-academy trust (MAT) includes a UTC. 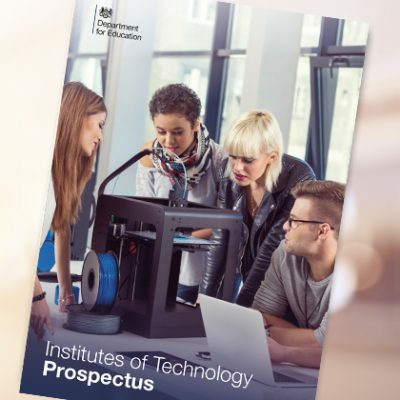 Sir Michael Wilshaw also told MPs on the education select committee in March that school and UTC clusters provided a “really great opportunity” to ensure high quality vocational education. Yet UTCs are still experiencing ongoing problems with student recruitment since the model’s inception in 2010. Four UTCs have closed and FE Week found in February that 40 per cent of those that opened between 2010 and 2013 saw student numbers fall for the current academic year. UTCs are an expensive flop. Their continued existence owes more to those championing them than to their effectiveness or efficiency.